Stretches to 36" x 36"
Stay concealed while hunting with these used Dutch Military Surplus Sniper Veils. Each Veil is 100% cotton and stretches to 36" x 36". 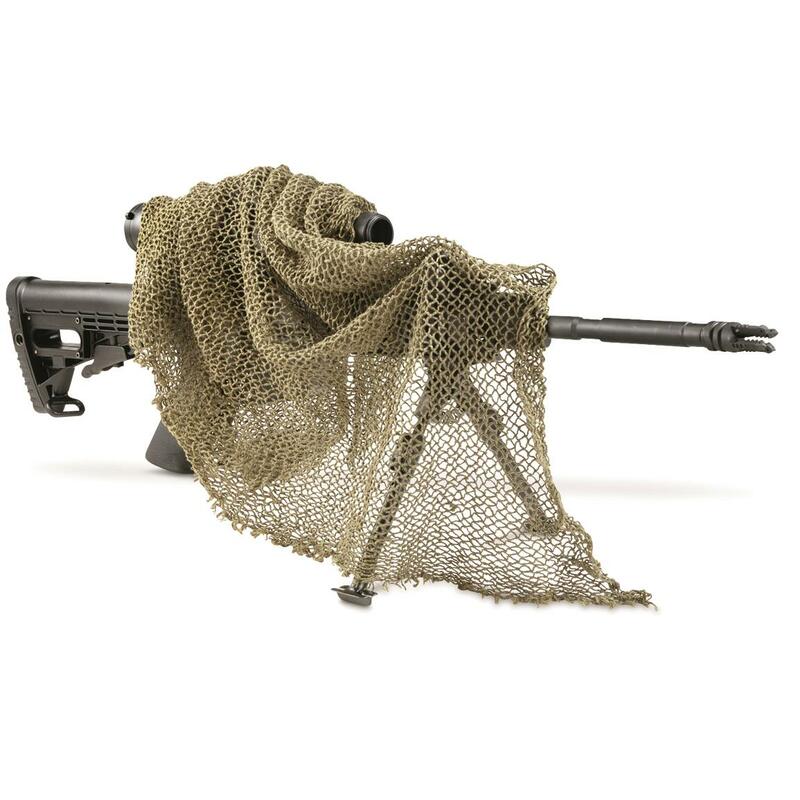 You'll see your target clearly through the cotton mesh, but they won't see you. You get two to keep both yourself and gun concealed. Size: Stretches to 36" x 36"